WARNING! 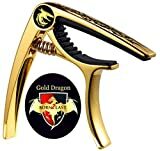 ---->Price will Rise Gold Dragon Guitar Capo - Take Advantage of this Special Offer!! Hello! 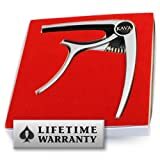 Are you Searching on Amazon for a Strong & Cost Effective Guitar Capo Well Check this Out & Buy Right the First Time! Design: Gold Quality Electroplated Finish with Elegant Tribal Design! 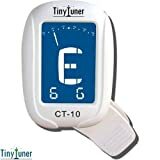 Exact replica, accurate down to the smallest detail Plated in 24 Karat Gold Pewter Cast The perfect gift for the music lover in your life!